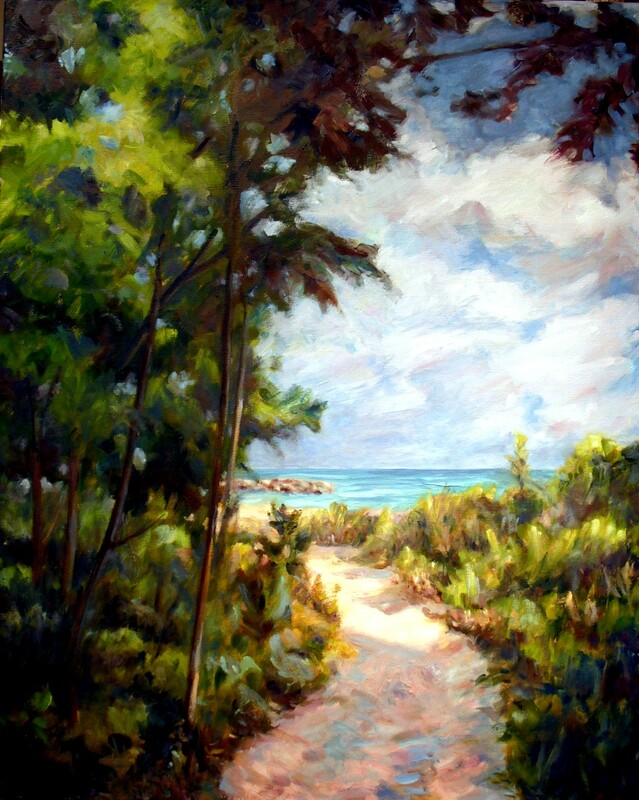 A few weeks ago I was showing my studio to an elderly friend of mine who commented, “How do you find time to paint all these pictures?” Now this woman has been a professional artist all her life, including many years as a commercial artist so I was a bit puzzled by her remark. This reminded me of a situation a few weeks before then. I was at a picnic with a group of friends. They were sitting around talking about all their favorite shows, how they had downloaded several years worth of episodes. Interestingly enough, I hadn’t watched any of the shows. Ever. Not one episode. So back to the question of how I produce so many paintings. I guess I just work at it. It’s all about priorities. I don’t have any more time than anyone else, probably less considering my day job as director of a multi-discipline arts center with some real crazy hours. But this is just what I do. It’s all about priorities. Yes, I watch the news and might get sucked into Jeopardy or Antiques Roadshow, but mostly if I’m not painting, I’m reading or working outside. I can usually squeeze in 15 or 20 hours per week which is the equivalent of a part-time job. Even if I get only one painting done a week, that is still 52 per year. Usually way more depending upon the size and complexity of the works. Not all paintings are the same quality and some are just sketches. 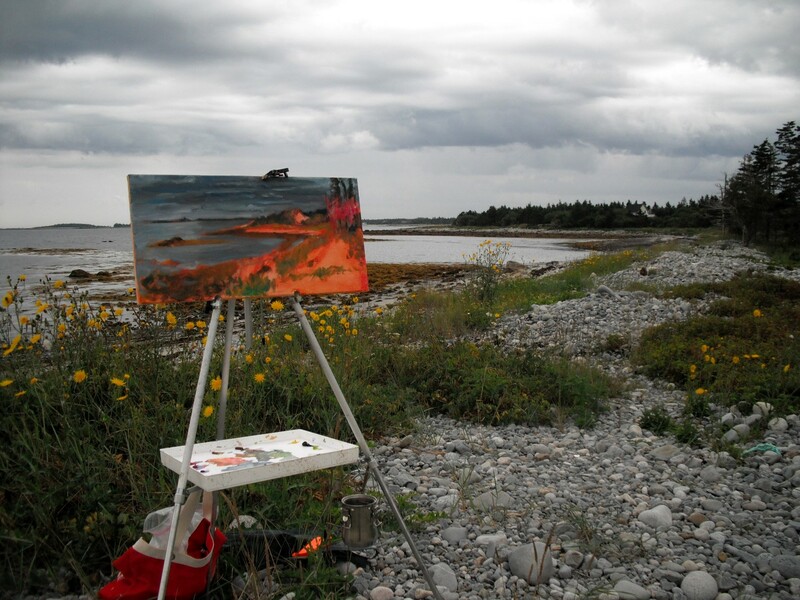 A plein air painting may only take a couple of hours before the light changes. And I may work on it a bit more in the studio. Some are just studies. Some are more finished pieces. My question to you, is, “What are your priorities?” Make the time for you. 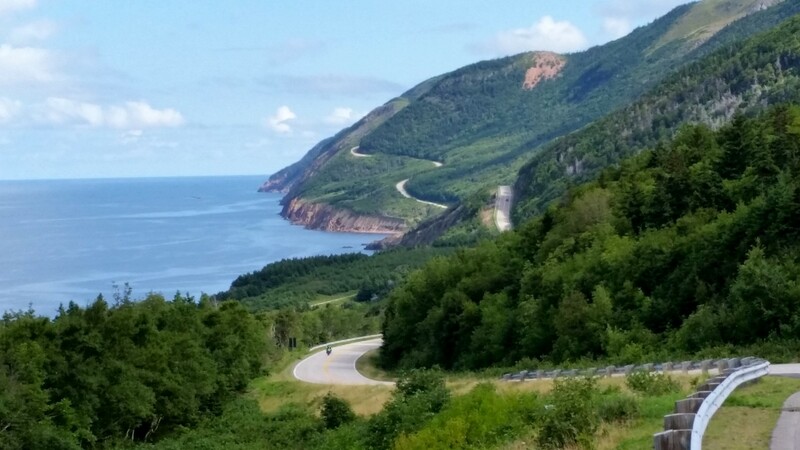 Cabot Trail, most iconic of drives. My husband and I made a trip to Nova Scotia last month. Neither of us had been up that way. It was so beautiful! 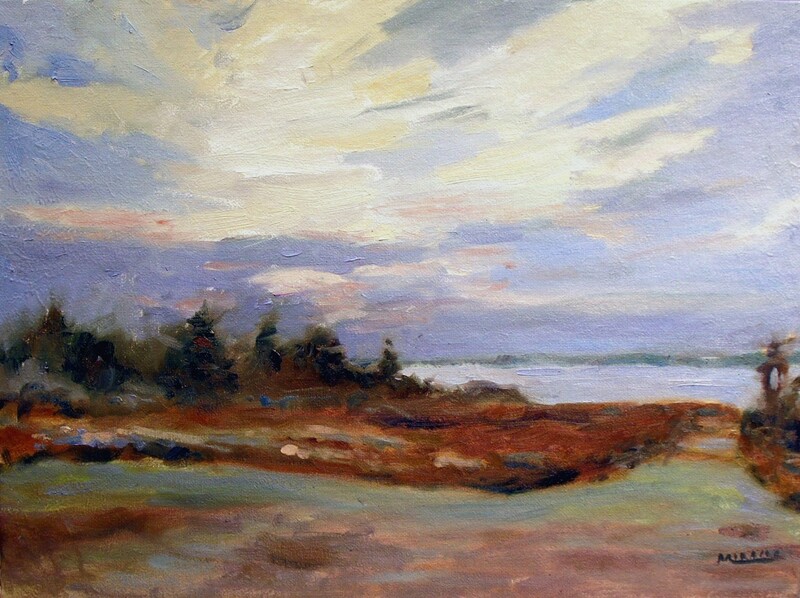 I took my painting materials but came home with enough subject matter to last for a long time. 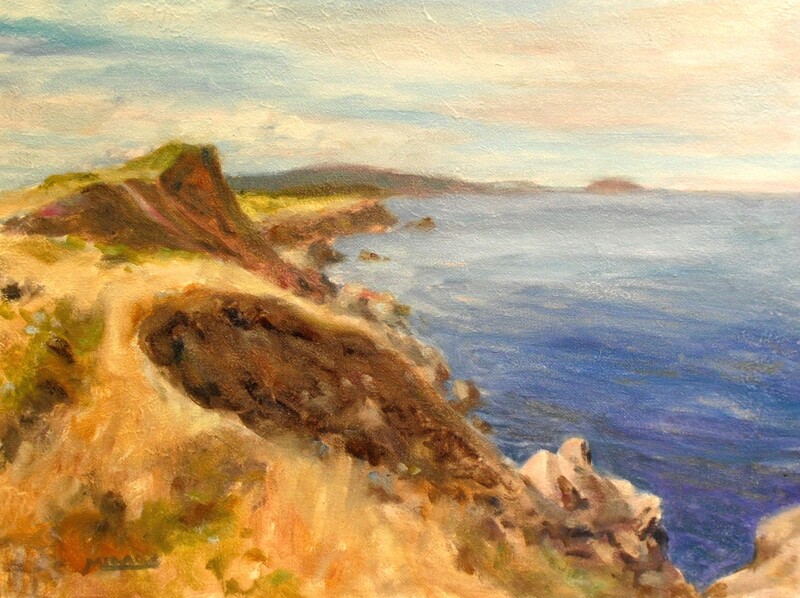 We spent a week on Nova Scotia south shore, then toured the Cabot Trail in Cape Breton and finally ended on Prince Edward Island. The weather was lovely with temps in the low seventies, dipping to the fifties and even forties at night. Perfect for August, I think. 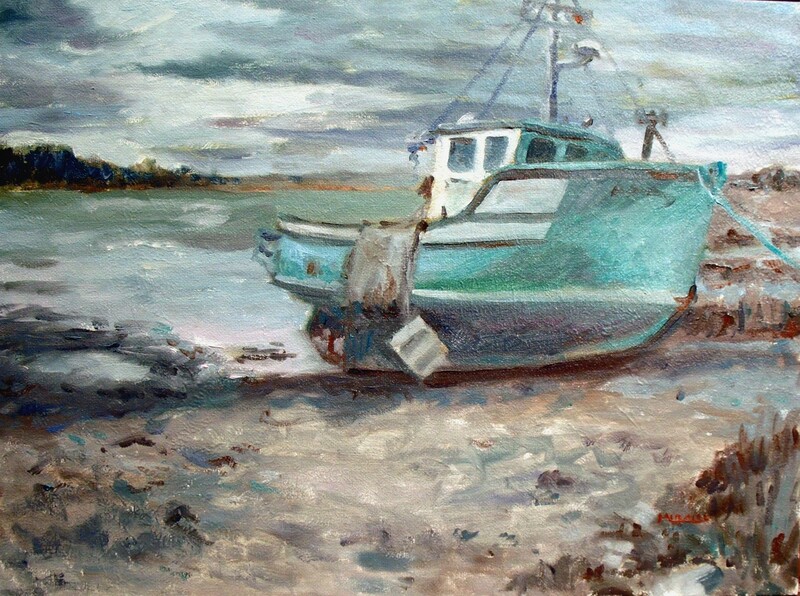 Here are the first few paintings, some painted on location, some back here at home. 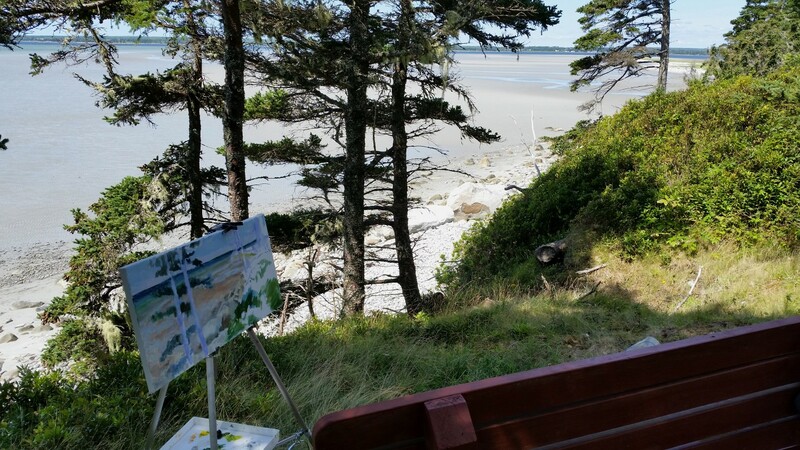 Rugged shores, pines, ocean, beautiful sunsets and sunrises, quaint towns and fishing villages…what more could an artist want? As always, I appreciate any feedback.